Today I’m sitting among suitcases, packing list, bathing suits, and sand and water toys and all I can think about are freckles. 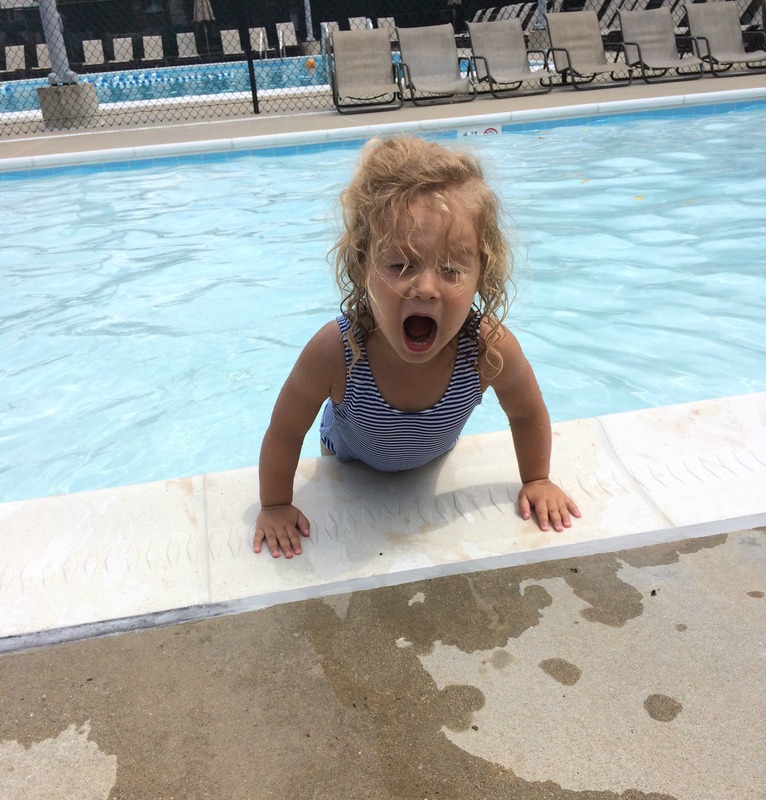 Since my kids are part fish, it’s quite convenient that we spend most of our summer at our family beach house. I watch my kids race into the waves for hours and they sequel with joy when the tide rolls in and swallows up their sandcastles, but all I can think about are freckles. You see, I’m a child of the 80’s and teenager of the 90’s. So that means in addition to awful hair choices and questionable styles in clothing, I shamelessly worshiped the sun, and now at the ripe old age of 35, I have the sun damage and the freckles, to prove it. As a kid, sun protection for me was one bottle of sunscreen, only used while we were at the beach, applied only in the morning, and was probably used the next year and the year after that. There was no sunscreen when we rode our bikes or swam for hours and hours at our pool. As a teenager and in my early twenties, the tanning bed was my friend and constant companion between laying out with….wait for it…baby oil. And now I have been entrusted with the precious skin of my children and friends, let me tell you, I take this job very seriously. Because their skin is just as fair as my own, I need to make sure their skin is protected and they’re not covered in freckles from years of being careless in the sun. But adding sunscreen to kids everyday can be a bit of a challenge because getting my kids to stand still long enough for me to actually apply the sunscreen is pretty ridiculous. For beach, bike rides, pool time, playgrounds, and prolonged exposure to the sun, we need to be protected with sunscreen. 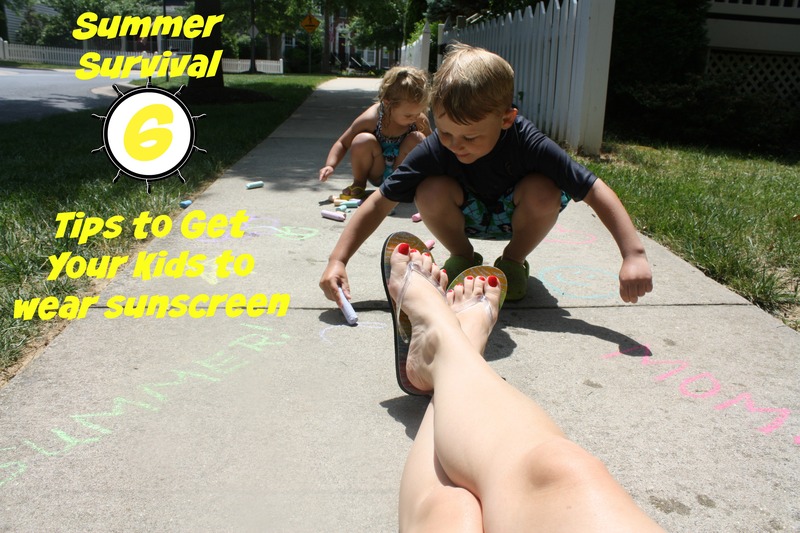 Here are six ways to get your kids to actually wear sunscreen. 1. Sunscreen Train: Everyone needs sunscreen before we head out and everyone needs to get on the train! Create a line and let everyone apply sunscreen to each other. Just be sure you go back over the kids to make sure they have the correct coverage and enough sunscreen. 2. Connect the dots: Apply the sunscreen in a dot pattern on their arms and legs. Let your kids use their fingers to connect the dots while you apply to other body parts. 3. Set a Timer: Grab an egg timer or set a timer on your phone and have a race with your kids to see how fast you can apply sunscreen everywhere. Make sure you start with their feet and legs and work your way up since their faces tend to be where kids fight sunscreen the most! 4. Simon Says Sunscreen- Put some sunscreen in your child’s hands and play a quick game of Simon Says Sunscreen. Simon Says put sunscreen on your belly! Simon Says put sunscreen on your right leg! Of course, re-check for coverage when the game ends. 5. Apply before you go: Once you hit the outdoors, your chances of successfully adding sunscreen are dwindling. So apply before you leave the house! 6. Distraction: Come on, you’re good at this! A quick snack, a show on TV, maybe a few minutes on the beloved iPad. Sometimes our distractions aren’t pretty, but whatever it takes! Now I know applying and reapplying sunscreen to younger kids can be difficult. Tell me what fun ways have you used to apply and reapply sunscreen on your kids? Visit Consumer Healthcare Products Association's profile on Pinterest. I tried all kinds of fun ways, but at a certain point it just degenerated into “sit still!” It worked, though! I have never had an issue. My kids know they are supposed to wear it and they do. I always make it a game. We have to make sure the sun screen blocks out all the UV monsters. Hey, it works. These are great tips. My son is 18 and it is still a battle when it comes to sunscreen. He doesn’t want to accept that he has my sensitive skin. Great tips! I’ve never really had an issue with my kiddos. I just explain my grandpa developed an allergy to the sun and the risks of cancer and they are happily to be lathered! Yes! The first coat goes on before we go out the door! And the second coat MUST be applied and dried before a fun activity can be resumed. These are awesome ideas. 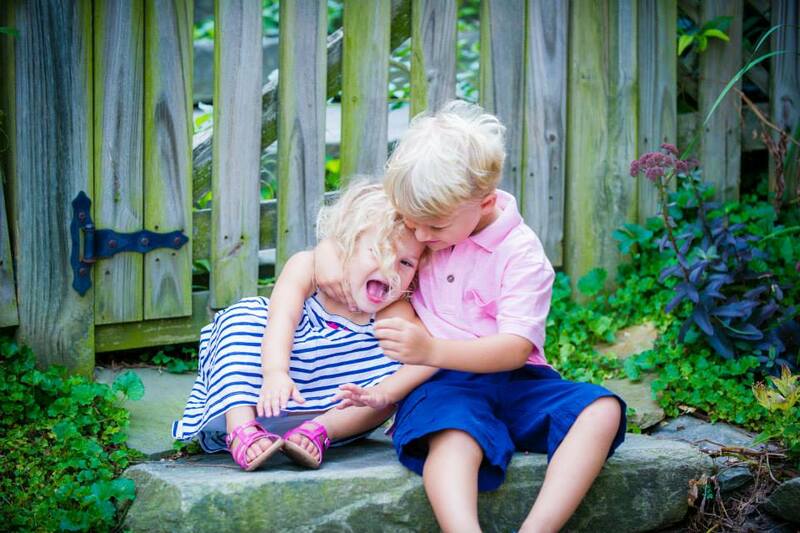 I think the sunscreen race would have worked well with my kids. These are all adorable tips and would have been lifesavers when my kids were little. I also had no idea broad spectrum meant protection from both types of UV rays. I used to put a glob on each back and the kids would make handprints on each other. Then it would be time to rub it in. I like your idea of the train system. It’s important to reapply on schedule, and an alarm on the smart or iPhone sounds like a good reminder. I’ve never thought to make sunscreen application fun. I usually just tell my son that he can’t play until he’s lathered up. Going to give a few of these a try this summer though. These are some good tips and ways to get a kid active in wearing sunscreen. 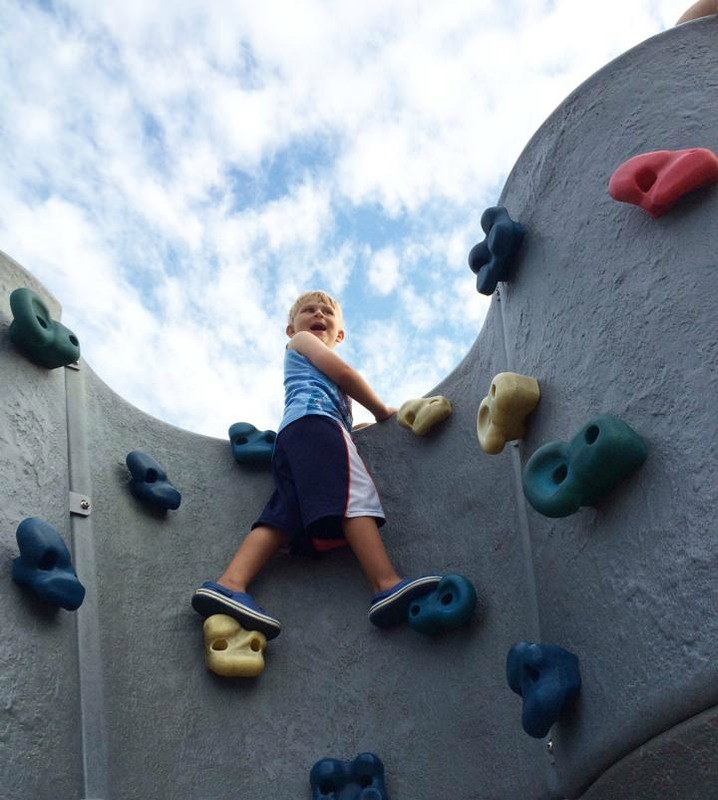 I love the dot idea the most because I know how kids love to follow that route. These are great ways to get your kids to put sunscreen on. I love the Simon says one the best. I do not have children, but I will have to try some of these tips out on my nieces and nephews! These tips are great, we usually have meltdowns! Sunscreen is one of the most important things when going outside. These are some great tips to get kids to wear it! I love the sunscreen train idea! Great tips! My husband says I have ‘Elmer’s Glue’ skin color 😉 I’m a 70/80’s kid. Hello baby oil, sunburns and OMG what were we thinking?? Unfortunately I am not very good at apply sunscreen. Although their everyday moisturizer has sunscreen in it. Thanks for the tips, I will try to do better. What cute ideas! I usually just say “no pool until it’s on” and that works for us. My son is so fair-skinned that there’s no way he could go out without sunscreen. Thankfully He doesn’t mind it so he doesn’t give me issues with applying it. What fun. 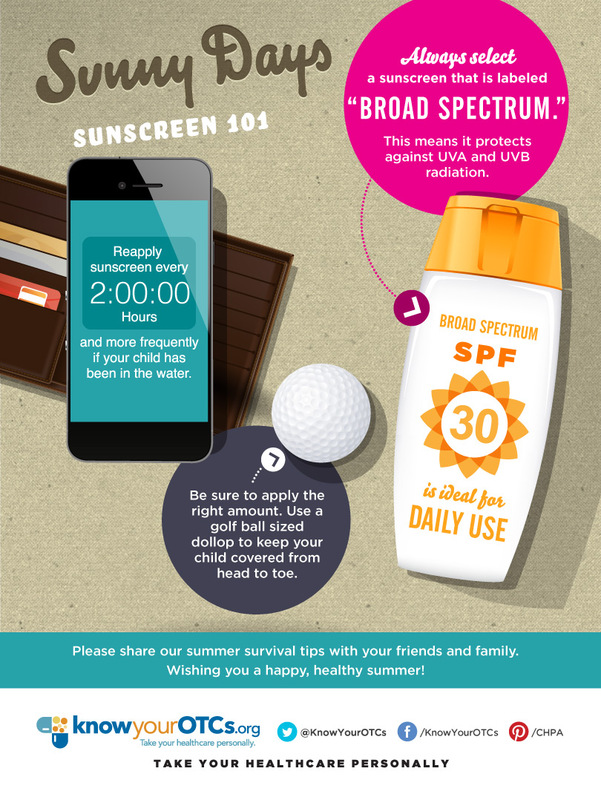 Great ways to get that sunscreen on.